on January 20, 2016, 5:20 p.m.
China is nearly twice as likely as any other country to say the world is getting better – while Australia is the second least optimistic. On many measurable indices the world is getting better. In most places the chance of getting killed by another human, life expectancy, poverty, democracy and the rule of law have all improved significantly over the past 200 years. Yet in developed countries like UK and US, 65% of adults in both countries say all things considered, the world is getting worse. 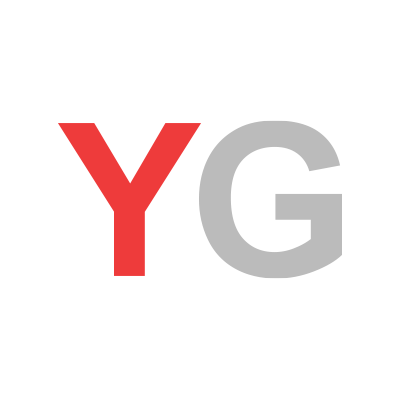 New YouGov research of over 18,000 people finds that out of 17 countries China is by far the most likely to be optimistic about the future of the planet. 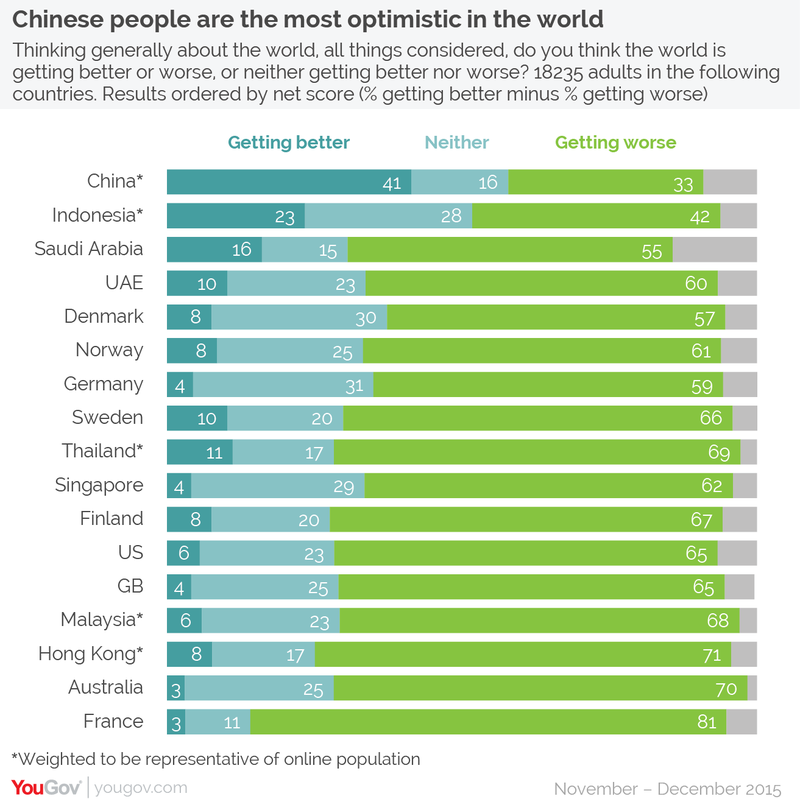 41% of Chinese internet users say the world is generally getting better – almost twice as many as the next most optimistic country, Indonesia with 23%. The percentage of optimists in China is four times the global average (10%). In net terms --taking away the percentage who say the world is getting worse from the percentage who say the world is getting better --Australia is the second most pessimistic (70% worse, 3% better). France is the most pessimistic country in the world, with fully 81% saying the world is getting worse and only 3% saying it is getting better. This is despite a strong uptick in French optimism about the future of the European Union, measured in YouGov's monthly Eurotrack survey of seven countries, increasing from net -50 in February 2015 to -26 in December. There appears to be little relationship between GDP per capita and optimism about the world – the US is richer than the UK (GDP per capita is 53K and 42K respectively) despite being nearly tied in pessimism (net -59 and net -56 respectively), while the second most pessimistic country, Australia, has almost 20 times more wealth per person than the second most optimistic, Indonesia. However the huge gap between China and the rest suggests something special. The sheer rate of growth in China, and a prioritization of health, a measure which is objectively improving, in personal goals, may be contributing to China's sunny outlook.